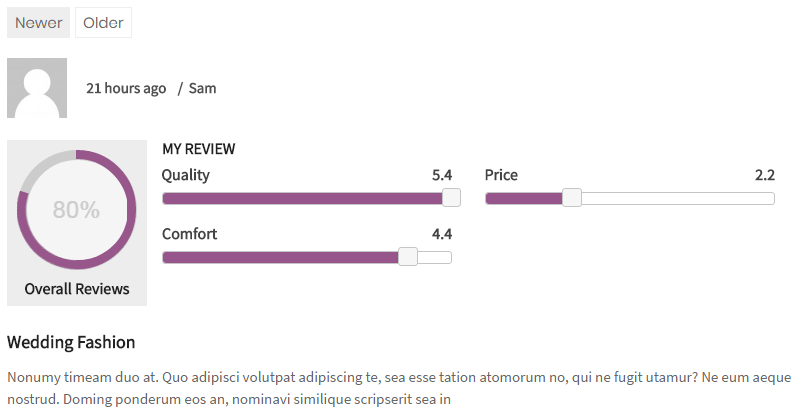 Everest Review Plugin is the simple utility plugin for you to display reviews for your posts, pages, and various custom post types faster and simpler. 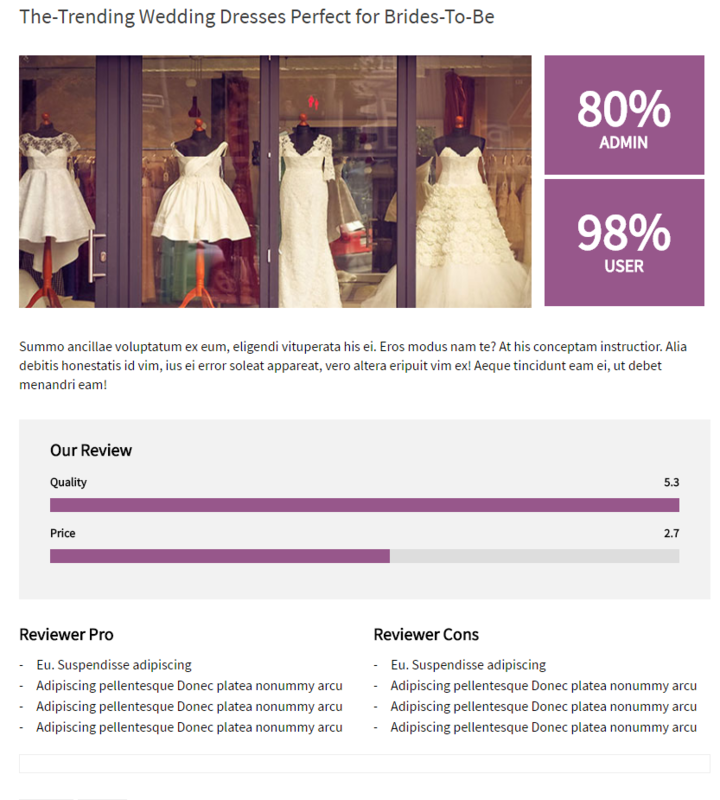 This Plugin allows you to insert your review inside your posts or pages. 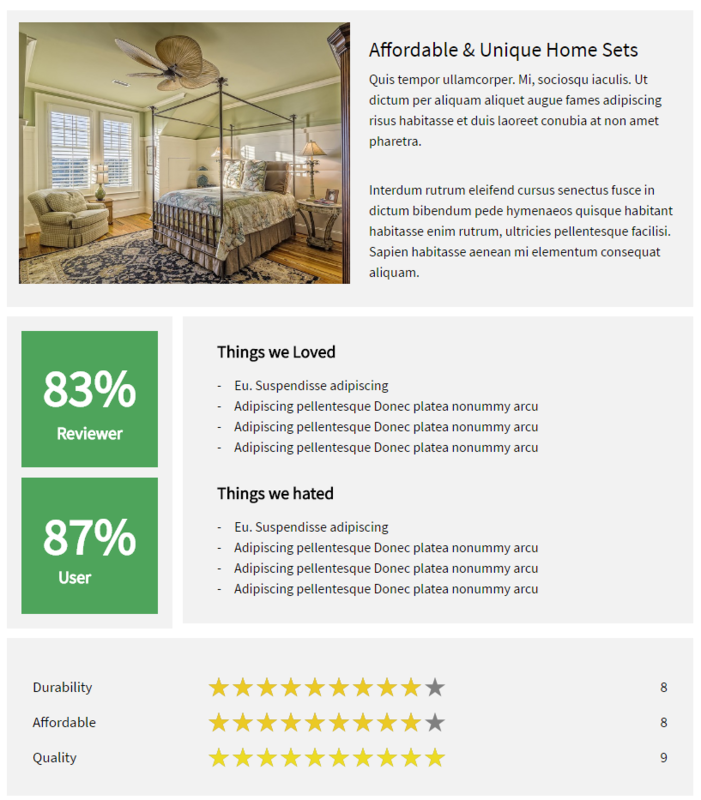 You can also take a review from the site visitor and display with many other multiple customization options to change to fit the layout of the site along with responsive design. 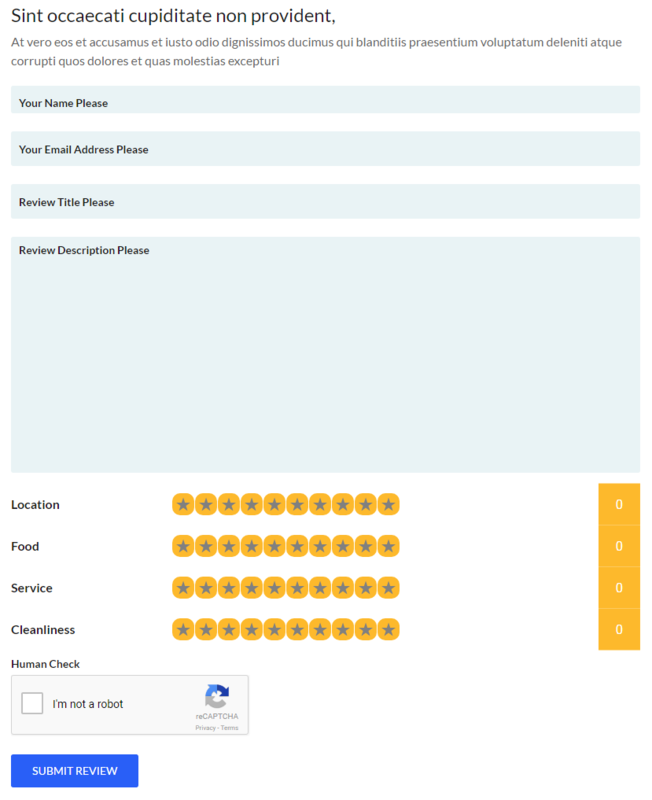 Create unlimited review template! 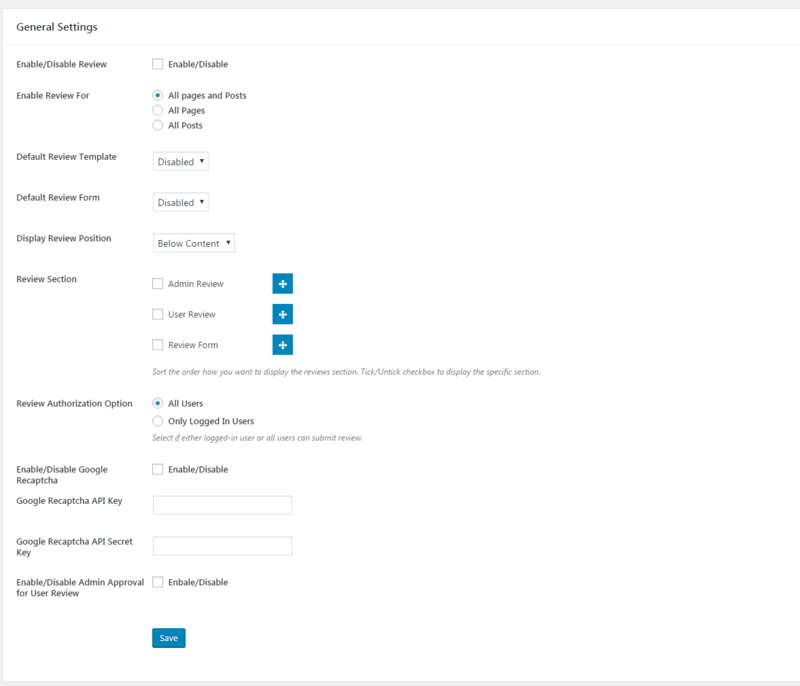 Create and assign a template to multiple pages for multiple actions through an elegant and useful setting in the plugin. 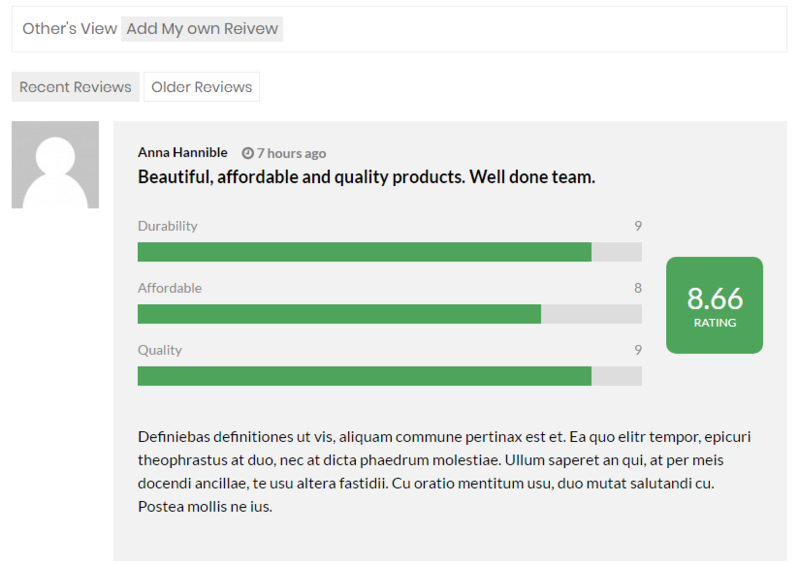 Select from 5 beautiful pre-designed layouts and 5 different review form layout along with multiple review display design option for your own review theme. 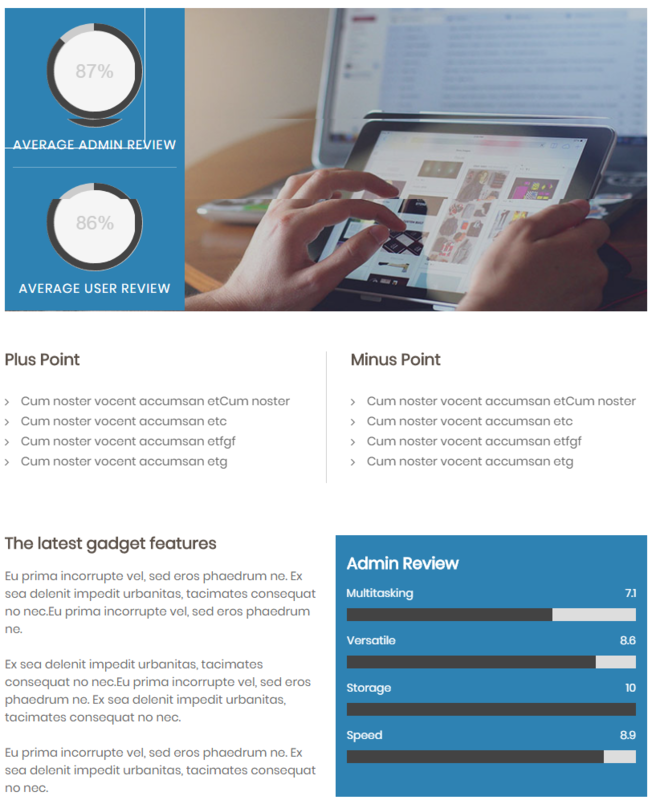 Everest Review is very handy to make your website’s accessibility higher with more user engagement than ever before. 5 different beautiful and sleek theme design to choose from. 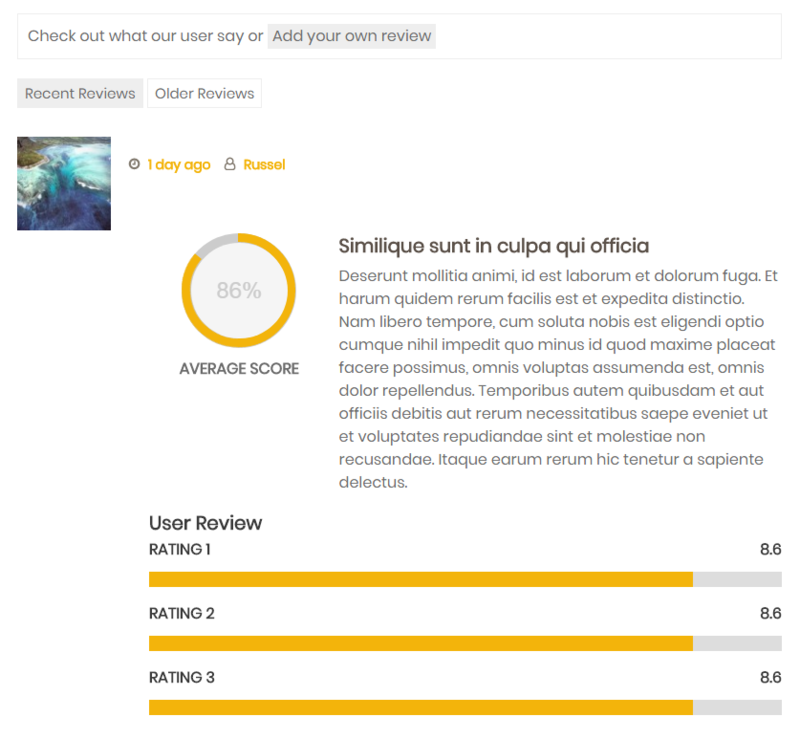 You can define each individual review to display/hide in particular pages. 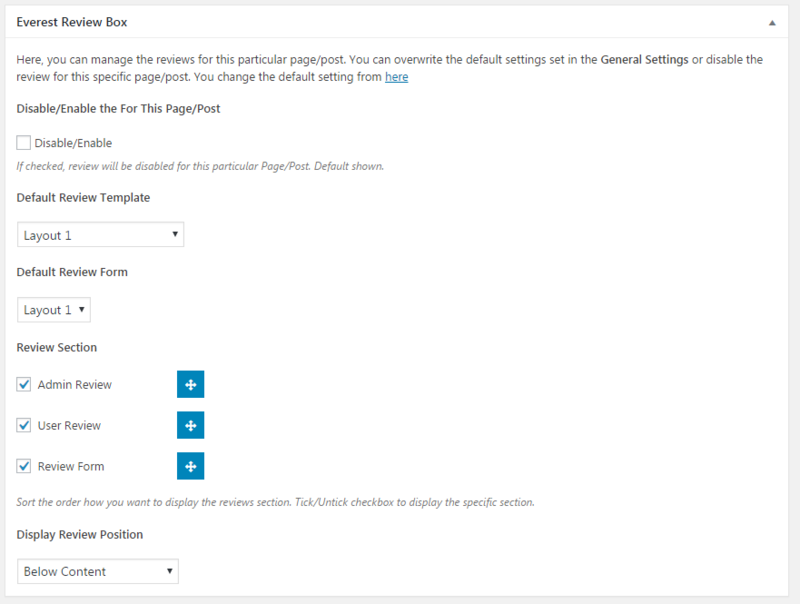 Just go to individual page edit section and there, you can see an option to choose a review set that will either set a default value from “General Setting” section of custom individual page wise configuration. 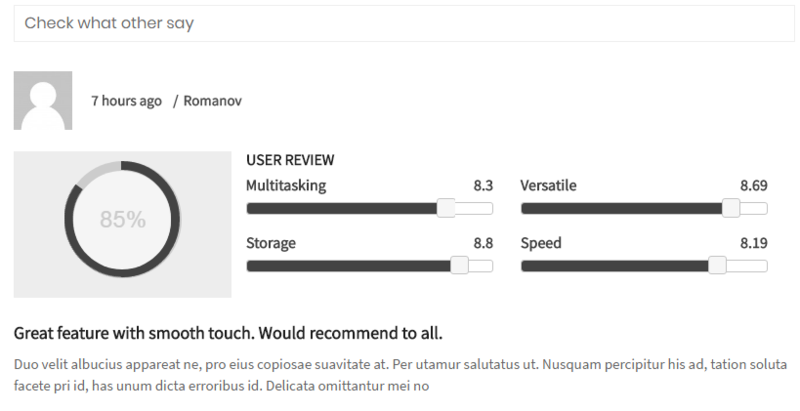 You can filter the user reviews and paginate the user reviews as you wish with simple ajax load more just by setting a few settings in backend. 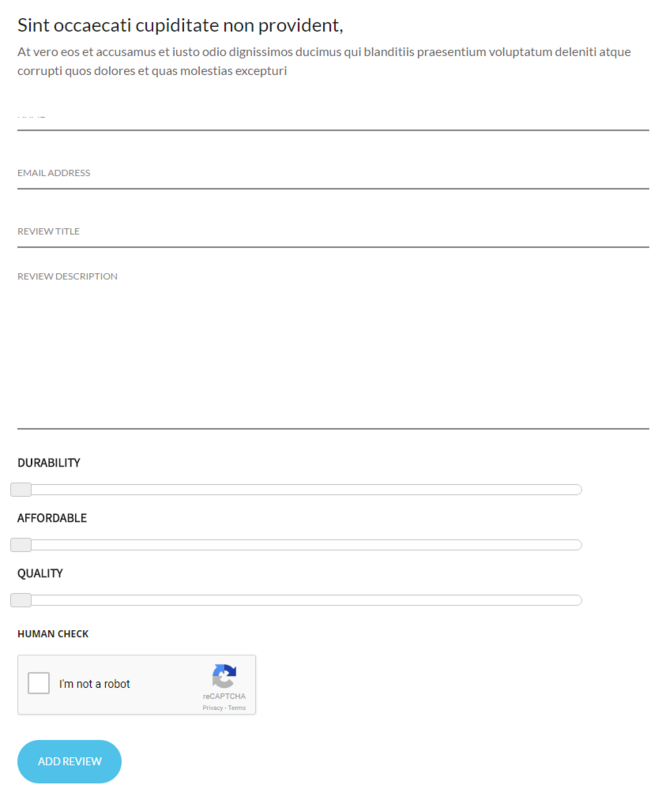 You can define the review to be displayed either above or below the content and you can also define shortcode to display in either position around the page/post content. 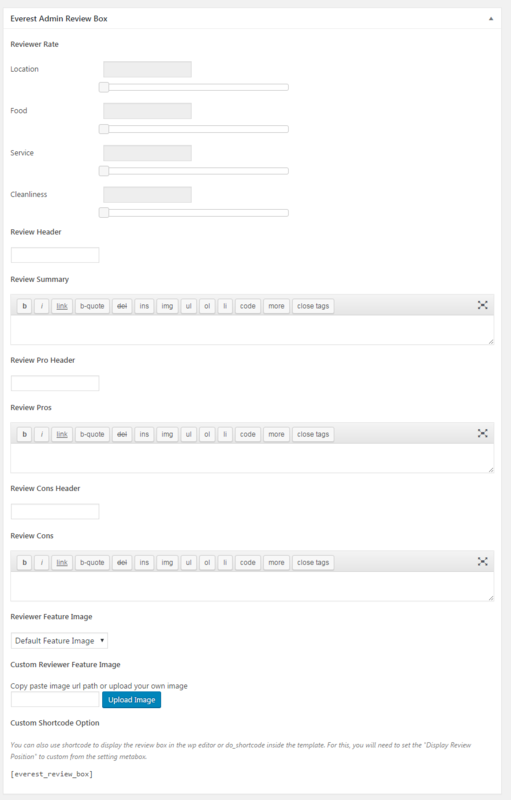 Not fixed on dates, but we assure you to provide you with new updates and feature upgrade in the plugin on regular basis. 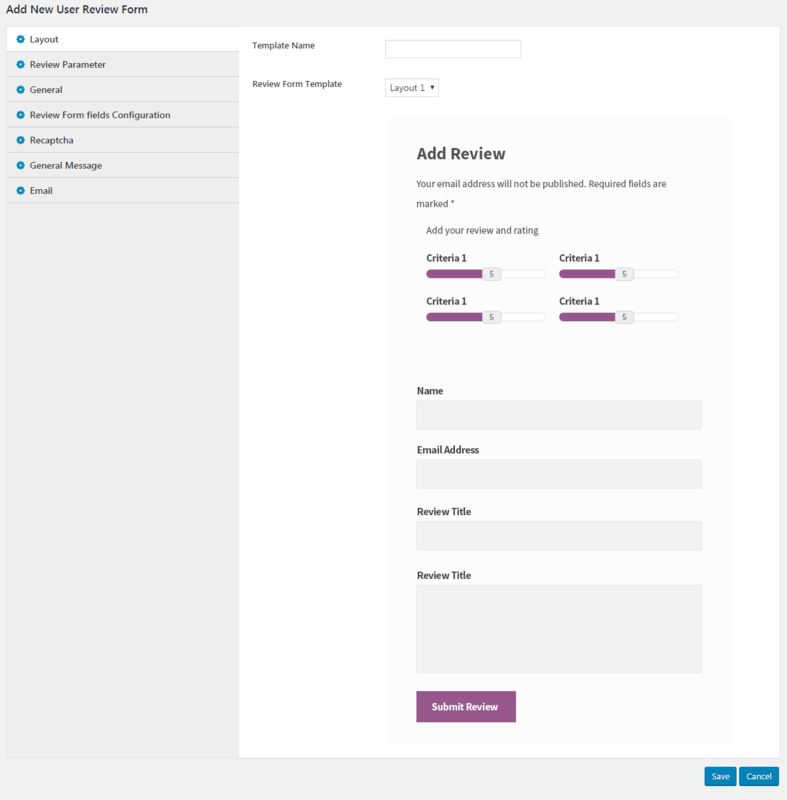 Added the feature to assign review section to specific post type such as pages, posts or any custom post type. Found issue with undefined variables and resolved the issue. Added the widget option for the plugin. 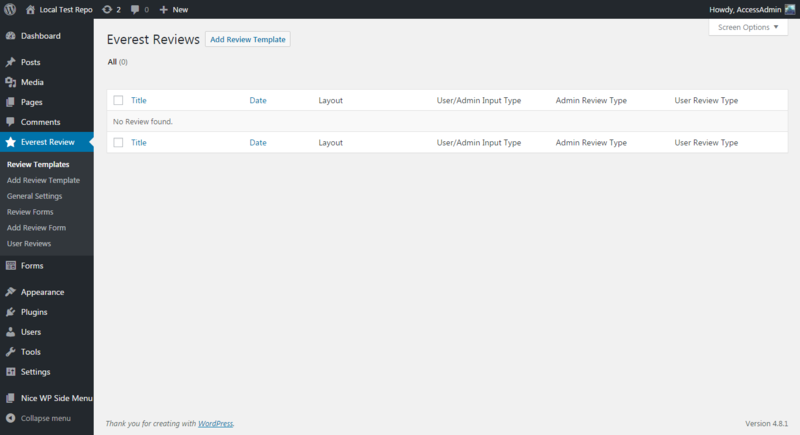 Updated the code issue for the admin alert for form submission. 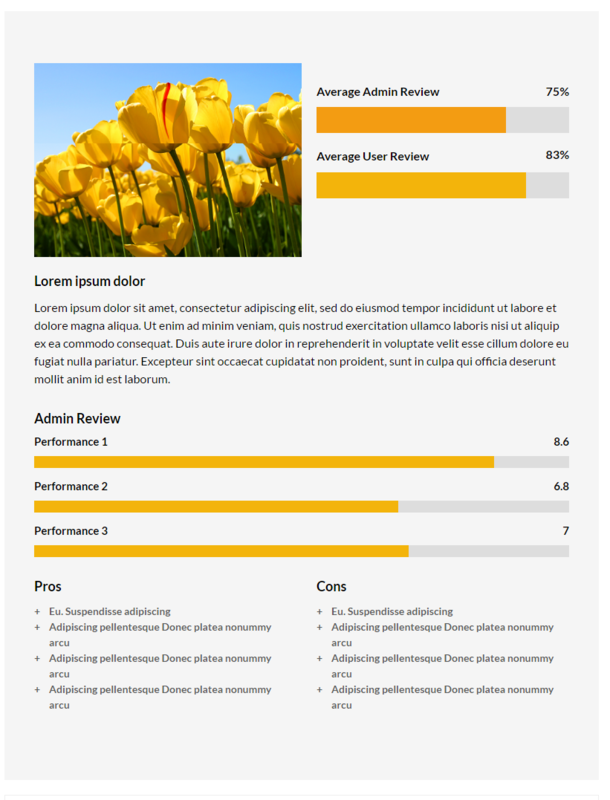 Hey Buddy!, I found this information for you: "Post / Page / Custom post type Review plugin for WordPress by User and admin – Everest Review". Here is the website link: https://accesspressthemes.com/wordpress-plugins/everest-review/. Thank you.